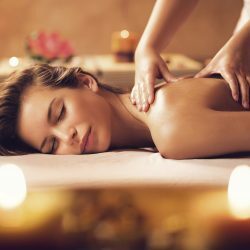 This type of treatment may retain a large relaxation element to it but advanced techniques are likely to be used for pain and chronic health issues. The massage therapist will see a client very frequently for the first few weeks or months for therapeutic massage. This might include half hour massages three to four times a week, or weekly hour massages for a couple of months. Advanced techniques such as deep tissue massage and trigger point therapy may also be utilized. Should you have any questions about getting a Therapeutic Massage with us, please call us at 403-452-7899, email us here, or drop by our Panorama Hills location. We would be happy to consult you on your needs. Know someone who would benefit from a therapeutic massage?